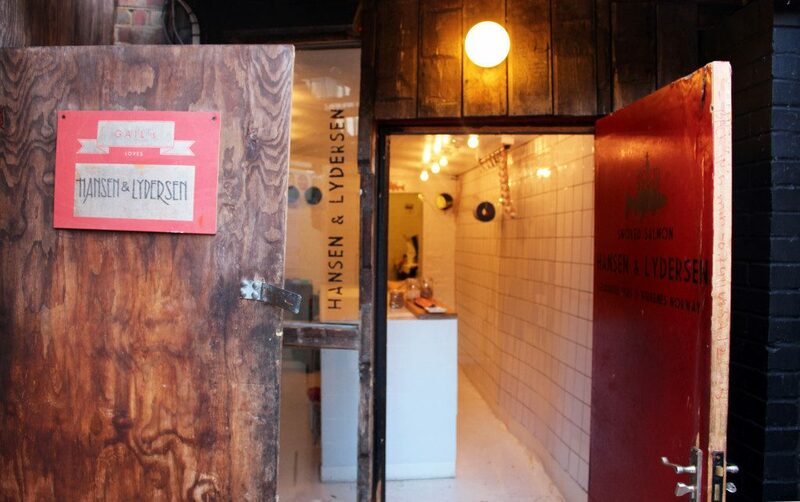 An industrial unit in Stoke Newington may seem like an unusual place to find an artisanal Norwegian salmon smoker but Ole Hansen of Hansen & Lydersen has been working from this unlikely location for several years. He is continuing a family craft that his great-grandfather, Lyder Nilsen-Lydersen, started in 1923. 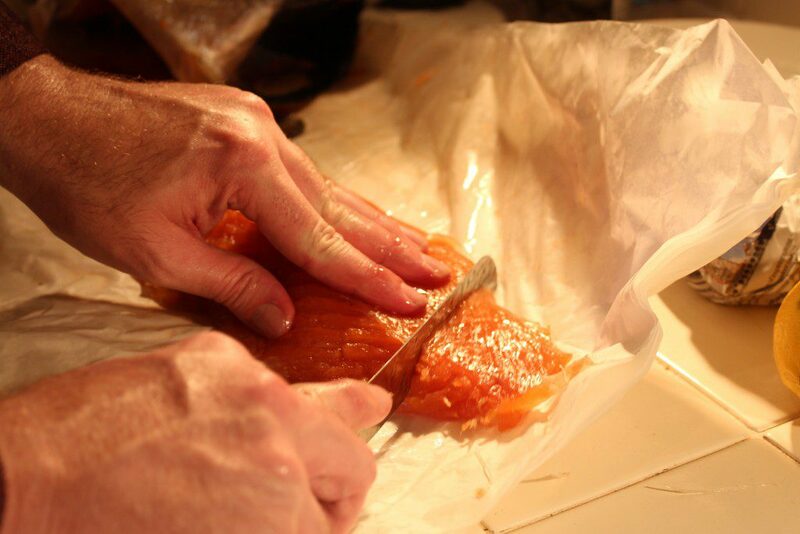 Now, his cold-smoked, hand-filleted salmon is used by some of the very best chefs; Heston Blumenthal, Alain Ducasse and Nuno Mendes, to name just three. Hansen’s journey to becoming a renowned salmon smoker is as unconventional as it is interesting. 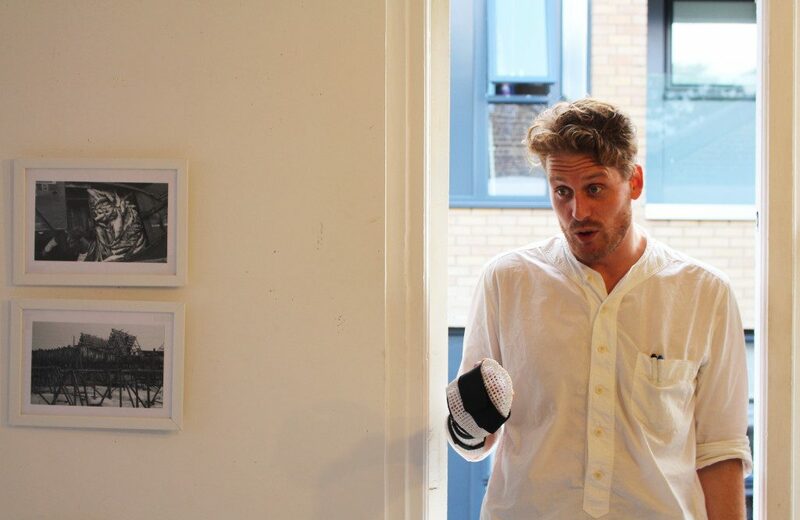 Six years ago he was a London-based musician and sound artist. But he soon became “discombobulated” by compromises and commercial concessions. “I got a bit like ‘I don’t want to do this’. I wanted to be an artisan instead,” he says. His mind returned to his childhood and to eating his grandfather’s smoked salmon in the midnight sun in Kirkenes. “It’s a memory that never disappeared,” he says. So, he decided to follow the trade of his great-grandfather and grandfather. Ole Hansen is carrying on the family tradition from 1923. Here pictured with the two fingers he had to sew back on after a little climbing incident. Photo: Sarah Campbell. Aside from familial knowledge, Hansen & Lydersen began with little. Hansen rented and modified a former boiler room in an old printing works in Stoke Newington for just thirty pounds a month. This became the smokehouse. “I started with a sketchbook. I started by building everything myself. I was finding loads of materials around the street,” he says. That sketchbook is still there, filled with all manner of drawings, notes, diagrams, sketches and photos. One page documents Hansen’s first visit to London’s famous Billingsgate fish market, back when he used to fill a hire car with salmon. The fish now come overnight from one of the last family-run farms, on Norway’s west coast. The early days of working alone were hard but satisfying. “You are everything: social media, you are the accountant, you are the communicator, you are the salesperson, you are the producer, you are the filleter,” he says. For a while he even lived in makeshift accommodation on the unit’s roof, until the council discovered it and ordered him to take it down. Once he began supplying restaurants, he had one condition: it had to have the Hansen & Lydersen name on it. The pay-off to all the work and toil is seeing people eating and enjoying his salmon – salted and cured for 12 hours and smoked for another 12 – even if he had to challenge British notions of slicing along the way. “I remember being at Melrose & Morgan and having a customer saying ‘I want it sliced long ways’. No, I’m not doing that! The point of me doing the vertical slices is that you have the smoked layer on the top, you have the smoke travelling down, the salt from Gúerande soaking down. You have all the different layers of taste,” he says. It doesn’t take long to understand that some of Hansen & Lydersen’s philosophy owes much to a Norwegian outlook. It is a feeling that goes back to those summers in the far north. “We were just left to roam and be free. I was filleting my first fish when I was three or four. We were always fishing every summer, with my grandfather and with my father,” he says. This philosophy is also linked to his Hansen’s own personality. Some might call him eccentric – he ritually plays piano to the salmon while they are smoking and recently had two fingertips re-attached after severing them in an ‘urban climbing’ incident – but the word seems ill-fitting. “I’m a very curious person. I don’t take no for an answer and I don’t take no for an answer with myself. I try to stay curious, I try to keep flipping stones. I seem to never be satisfied in a way,” he says. In the end, Hansen draws an analogy with the fish he is famous for and his own methods. Click here to read more about Hansen & Lydersen. From this smokehouse in Stoke Newington, Hansen & Lydersen are making the finest smoked salmon. Photo: Sarah Campbell.